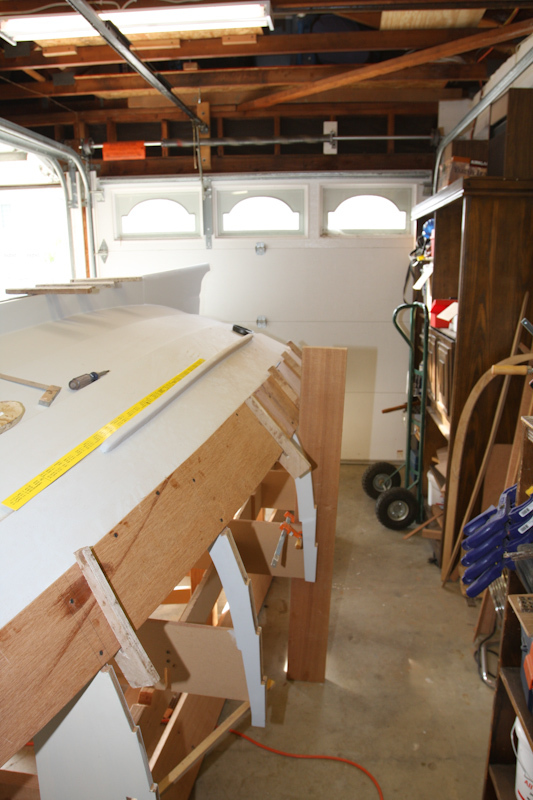 Now that I am working on the more vertical strakes I am returning the the original designer recommendations for supporting the hull on two pillar and pivot supports. 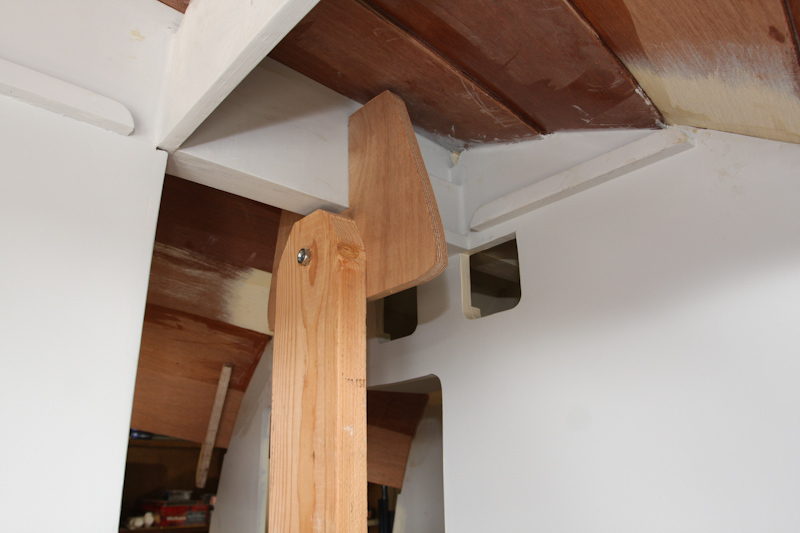 This allows the boat to be tilted one way or the other to allow a slightly horizontal plane for attachment of the stakes. Once I upgraded my construction jig I proceeded to start attaching the 5th board. 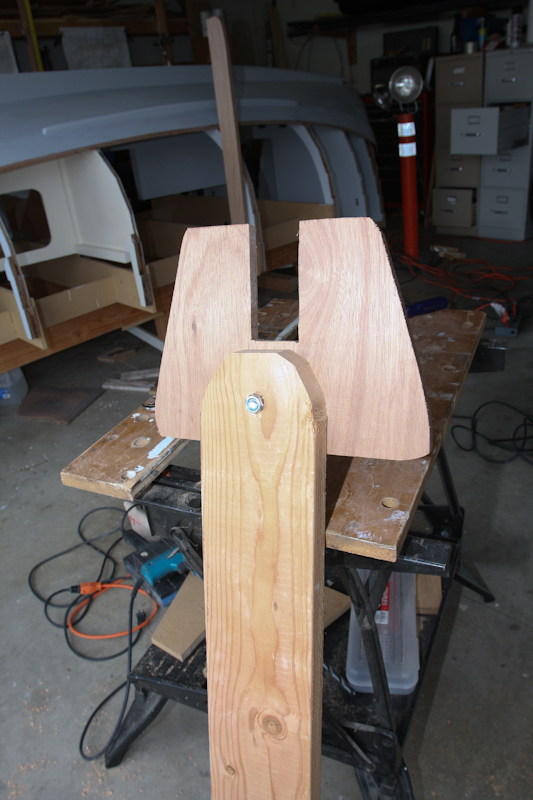 Detail of the bow is shown to highlight how to fair the boards into a single plane. In my case I cut a 22mm strip from opposing boards, tapering in from 12 inches from the board tip to 1/2 the width of the board. When the boards are overlaid the two boards have the same thickness at the bow. I think it is easier to see in the photo then for me to describe. 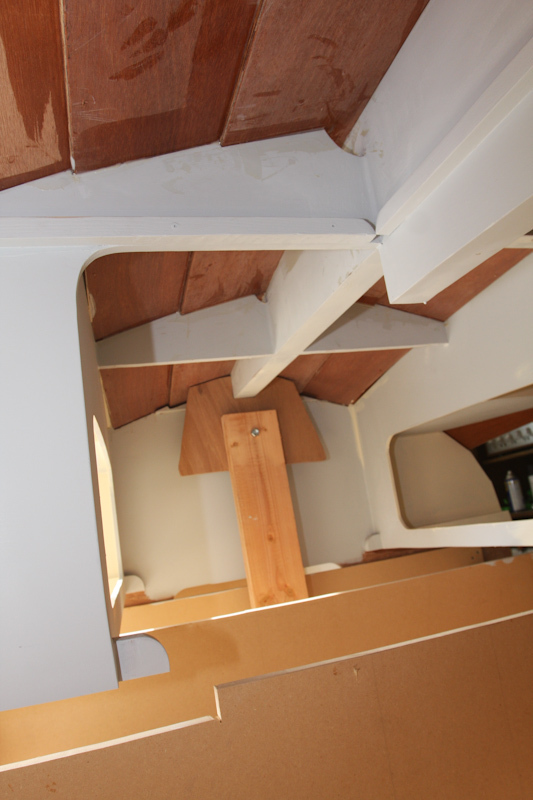 Boards are fitted for a smooth transition. Did you cut all the plank stem tapers you describe on the bench before installing the planks? I cut each plank to match the full size template and once installed I did the taper angle for the next board. Eyeballed the angle. 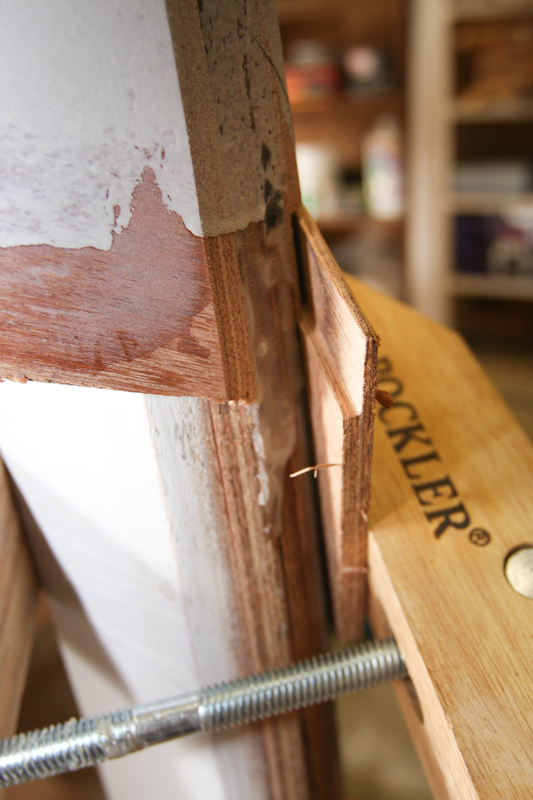 If close the next board will fit smoothly and epoxy will fill any slight imperfections.